For the month of August I didn’t really have much favorites and of course I waited too long to film my monthly favorites. Instead, I decided to make a current favorites video including some of my most used products in recent weeks. Watch the video to see why these are my current favorites! …What were your favorites for August? Wow, better late than never? I don’t think I’ve ever put up a favorites video this late! I apologize, but hey at least it’s up now right? So, for the month of June I didn’t really have too many favorites. I work Full-Time at a retail store and unfortunately, makeup has to be at a minimum, so right now experimenting with products is only for my off days, which come extremely too few and far between. For that reason, I only have a few products mentioned in this video, but I am playing around with a few new goodies so hopefully I’ll be able to make more blog posts and have some new favorites for the month of July! Anyway, If you’d like to see what I was loving for the month of June, check out my video! Another month has come and gone, and with that month comes new makeup products that I’ve loved ! This month I actually don’t have that many compared to most month’s but like I’ve said a million times already, I was sick and on vacation. I wasn’t really playing with a lot of products. For June I will for sure have a few more fun, new products coming your way woohoo! but, If you want to know more about the products I loved this month, watch the video below & share with your friends! March came and went! I can’t believe we’re almost half way through the year again. Every time I do these videos it reminds me of how fast time is flying. For March I didn’t have too many favorites, since the weather in New York was super cold the past few months my face was extremely dry. I was trying to avoid wearing too much makeup so that my skin could heal and get back to its normal, non-dry self which is why I don’t have many favorites this month. Don’t you worry though, April is going to be a fun month for favorites because I’ve bought so many goodies in the past few weeks that I’m so excited to try new things and tell you guys about it. Plus, IMATS is this weekend and I will be there on saturday, I hope to get some goodies there as well, so my April favorites should be fun! anyway, here is the video. I hope you guys enjoy it and like always, if you do, please like, comment, subscribe, and share the video with your friends! This year has started off to a great start! I have been trying out new products and loving them so far. Here are my favorite products from January! Best of Beauty 2013 !! 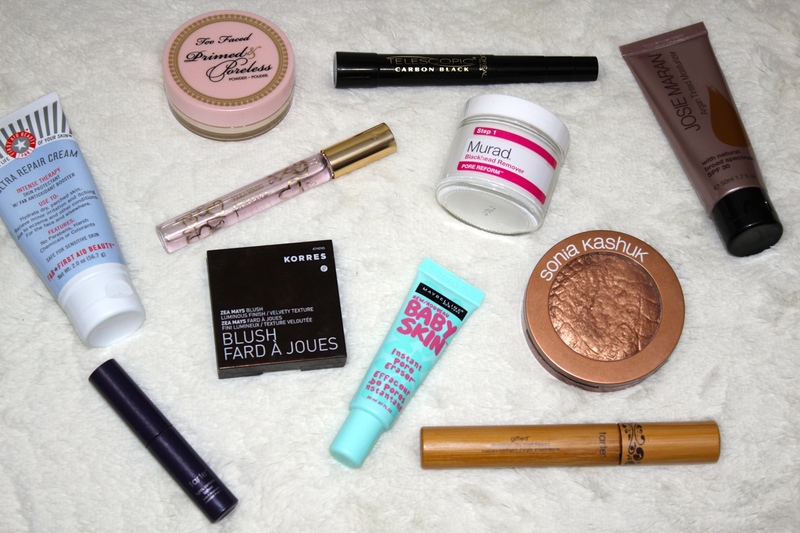 2013 has come and gone and I am super excited to show you guys what products I loved for the year! Last year was a fun year for me when it came to blogging because I decided to be more consistent with my tutorials on youtube & I started this blog! I’m hoping to grow my audience this year and hopefully be able to interact with you guys a lot more! here’s the video, If you like it please subscribe, comment, like, and share it with your friends! Thank you so much for your love & support, lets make 2014 a good year! well, just like the end of every other month I accumulate my most used products for the month and share them with you. I didn’t do a September favorites because I pretty much used a lot of the same products in September that I did in August, so it would’ve been pointless to show you guys the same things. For this month, I was excited to share fun, new, products that I have been trying out and loving! with that said, here is my October Favorites video! Please Like, Subscribe, and comment on the video if you enjoy them! thanks!